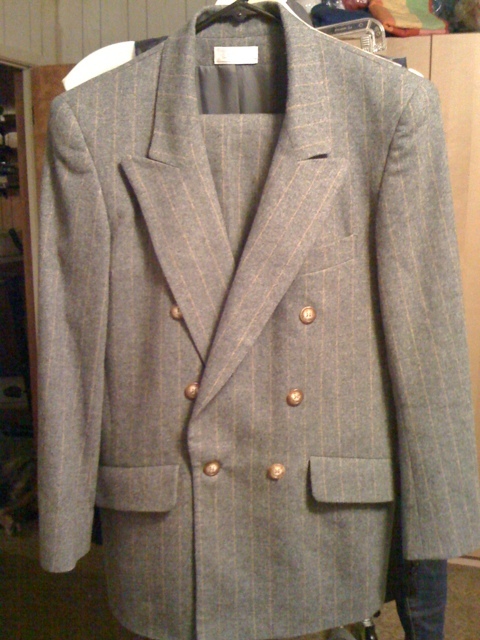 I knew L had her eye on this vintage Bergdorf Goodman suit, so when our favorite thrift store finally re-opened after the holiday break I stopped by and grabbed it for her. Needless to say, the price was right. This entry was posted in Hers, Pure Miscellany and tagged bergdorf goodman, postaday2011, vintage. Bookmark the permalink.